Here is your thought for a Sunday afternoon. May God bless you all. Here are some the best things I have read this week. I hope you enjoy. I have been the minister at Adrian Christian Church for almost three years. What may surprise you is that it almost didn’t happen. My family and I had moved to Alaska to serve at a Church in Homer and live the adventure of the last frontier. It was a grand experience but was not without complications. It is hard living so far away from family and the months of cold with darkness are hard emotionally. After we had hit the four-year mark, we knew it was time to leave. I sent out resumes all over the country in the hopes of relocating to a new ministry. No less than five ministries showed interest in having me as their leader. One by one I handled interviews and prayed through the process. Finally, my family, had it narrowed down to a Church in Southern Indiana and this one in Missouri. With every Church interview, I continually heard that they felt I lived too far away. It would be expensive to move us, and the search team had decided to go another direction. One by one I had scratched potential Churches off the list until only Adrian Christian Church was left. One evening after work I was heading home when I received a call telling me that even they had decided on another candidate. It was a Tuesday night, and I did not get emotional. I took their answer and told my wife, and we resigned ourselves to God wanting us to stay in Alaska. Then on Wednesday I received another call from the Church and asked if I was still interested in the position as their other candidate had accepted a call to another Church. Without hesitation, I stated that I would still like to be considered for the position. One thing led to another, and I set up, and date for a trial sermon and the rest is history. I suppose I have a choice on how I can view this experience in my life. I could spend my life here in resentment as their second choice. I could always harbor ill feelings of rejection. The other choice is to embrace the situation. See that God so wanted me here that he removed the other candidate from being an obstacle. He opened doors that appeared closed. He worked behind the scenes to bring me to the place he wanted me to serve. It seems our perspective on the events of our life is as important as the encounters themselves. You can go through life seeing that God is against you with every setback or you can see him redirecting you each time. I know I have chosen the latter view of my rejection and acceptance to be the preacher at Adrian Christian Church. I am happy and content with the life God has brought me to. What view will you take? Last Thursday I wrote a post entitled “Five Vital Things I Want My Children to Know About Church.” I have thought a great deal about that article and wanted to do a follow-up about a life of faith in general. Here are some keys I want my children and you to know. 1. Faith is a marathon and not a sprint. This journey will last the rest of your life. The only way to survive is through regular daily discipline. It is great to read the Bible over a month, but it is better to read a little each day for 60 years. It is great to take an hour to pray during a difficult season, it is better to pray 5 minutes a day for 50 years. Serve selflessly every chance you get but pace yourself so that your service will last a lifetime. 2. God is never late, but also never early. One day you will ask God to show up. Soon you will begin to beg him. Then you will get desperate and convince yourself that he will never show up. At the moment, when you are about ready to give up, God will show up in a big way and answer your prayers better than you ever imagined. It will frustrate you and yet teach you patience. This will happen over and over in your life. 3. Failure is inevitable. Accept forgiveness. One day you will do something you never thought you were capable of doing. You will fail your God, yourself and possibly someone you love. You will hurt like never before. The brokenness you will feel is indescribable. God still loves you. He still offers forgiveness. You will need to accept it. You will need to believe it in your soul so that you can forgive yourself. You will need to walk in the grace and love of God, or your scars will never heal. 4. Your actions reveal what you really believe. It doesn’t really matter how many times you have prayed or attended Church. It doesn’t matter how many times you have read your Bible. Faith is not measured by our knowledge or our intentions. There have been thousands of people who have known the right things to do and yet not done it. Real faith is about action. 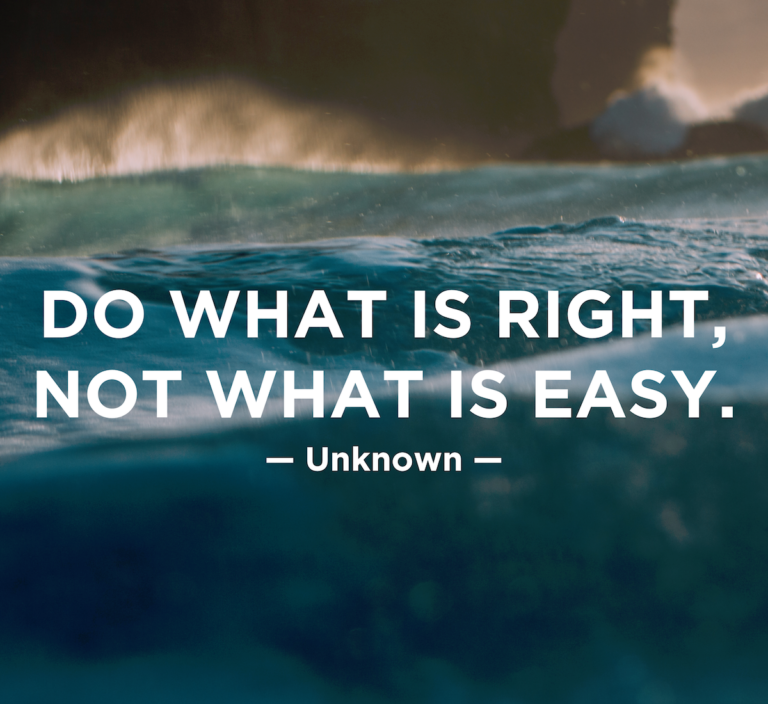 It is about knowing the right thing to do and then going out and doing it. Anyone can talk a good game; the real thing walks the talk. 5. Most people you know will quit their faith. In John 6 Jesus preaches a sermon on “The Bread of Life.” The people are disappointed that he doesn’t just give them bread, and they clearly understand that he is calling them to a total life commitment. The end of the story is that crowd quickly leaves Jesus. One of the greatest surprises of this journey of faith is the number of people going the other way. They will get distracted by something momentary. They will give into to the temptations that surround them without restraint. They will simply get busy, and they will get bored. Stand strong despite the steady flow of people heading the wrong way. I really wish I could write an article about how wonderful is the life of faith. The reality is that is both surprisingly hard and wonderful at the same time. It takes both brains and spiritual strength to make this journey of faith. One day you will look back in amazement at the journey God has taken you on through the years. 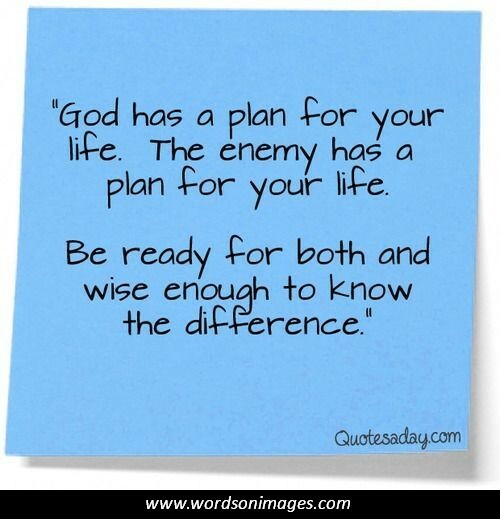 Hang on, I know God has great plans for all of you. The hairs on the back of my neck stand up anytime someone says they will not help with a ministry at the Church because “they need to be fed.” The statement is derived from the concept that to keep growing spiritually, you need to set quietly in a worship program. I find this type of thinking so troubling because as a Church leader I rarely ever just sit in a worship program at my Church. I believe that spiritual growth is a lot like physical growth. The older you get, the more you should be able to feed yourself. In fact, a sign of maturity is that you can take care of yourself. Then having someone else feeds you becomes a special treat and not a place of dependence. So how does a person, like me, keep themselves growing spiritually? Let me give you a few thoughts. 1. Personal Daily Quiet Time. I have a simple plan to read 3-5 chapters out of the Bible 5 days a week. The length varies depending on the length and topic of the chapters. Right now, I am in the Psalms, and usually, I can read 5 of them in 15 minutes or less. This one practice has allowed me to read the Bible 3 full times in the last 5 years. I couple that Bible reading with 10-15 minutes of prayer time. Again, the time varies with the seasons and needs at the moment. Each day I start off with doing these two simple practices. 2. Read Blogs. I have a blog reader called “Feedly.” (There are several other versions). After my quiet time is done, I sit and read through about 125 blogs. Some of them get the immediate delete button. My list of blogs I read is greatly varied from Christian writers so an article on “Things a mother needs to know about daughters” gets deleted since I am not a mother and have no daughters. Other articles get skimmed for big ideas. Still, others get read deeply. Finally, others get saved for future reference. Many of these I share on here each Saturday. These little one page articles challenge me as a pastor, man, father, and Christian. One post just today challenged me to trust God’s providence over myself. Good stuff to help grow. 3. Read books. I admit that I used to read more books than I do today. A number of modern books disappoint me. I prefer to read books that have been around a while and still have an impact. These are timeless treasures of spiritual growth. 4. Podcasts. A substantial number of Churches post their sermons online. With iTunes, I can pick a favorite Church or speaker and hear their sermons every week. For me, they are automatically set up to be downloaded and then listened to at my convenience. Every week I can listen to the best preachers from the biggest Churches or from Bible college chapels with ease. 5. Attend Elsewhere. There are two things that help me to grow outside of my normal routine. One is going to conferences. I try to do this at least once a year. Last year I went to a men’s conference with my son. This year I am looking at one by Andy Stanley. The other source I use might surprise you. I like to occasionally take a Saturday night and attend a larger Church somewhere. At Easter this year I was feeling in need of some added growth time, so my wife and I went to a nearby Church and sat and enjoyed the worship without the stress of leading. This helped me to stay fresh going into the service at our own Church. The wonderful part of being a believer today is that there are so many resources. We have study Bibles, books, blogs, podcasts, magazines, conferences and a dozen other things to help us grow spiritually. The resources are out there for you. With a little effort, you can keep yourself growing while still be able to help feed a few other people who are new to the faith. What works for you? What would you add to my list? Let’s be honest. Some sermons are either not very well prepared or presented. I have heard them, and I have preached them. Even the best preachers in the world have some weeks that just fall flat. I thought an idea was good. I put together a sermon I found interesting, but something was wrong. Eyes glossed over, and people started the head nod that comes not from approval but from their battle with sleep. I have repeatedly said that it is difficult to come up with 52 educational, engaging and challenging sermons each year. All of us preachers are bound to have some boring ones sooner or later. If that is the truth, what do you do during a boring sermon? Even if it is not boring, it might be on a topic of which you have little interest. What do you do when the sermon is not connecting? How do you get something spiritual out of the time you have invested? Here are some tips for your future. 1. Read the Scripture. Many sermons are based off one passage of scripture. I focus my attention on that passage and read it. I read the passage ahead of it and behind it. Maybe God wants me to hear something from these stories, and I want to make sure I am fully listening. 2. Take Notes. I always have a pen and paper with me when I hear someone speak. I write down the speaker’s main points and scripture references. I try to totally engage in the sermon even when the preacher is losing me. 3. Write Down Any Random Ideas that Come to Mind. Sometimes a statement in a sermon will spark something else in my mind. I recently heard a boring sermon, but he said one line that made it all worthwhile. I have gotten several sermon and blog ideas while listening to a boring sermon – including this one. 4. Pray for the Preacher. When all else fails, I begin to pray for the preacher, the rest of the sermon and the other people listening. What is being said may not hold interest for me, but I pray someone is being blessed by the preacher’s words. I ask God to do a miracle in the auditorium. Honestly, I have even prayed that prayer in my mind when one of my sermons was going poorly. “Please God, let someone get something out of this” is a valid prayer. 5. Do an Internal Inventory. Ask yourself, “Is the reason I am not engaged the preacher’s issue or mine?” Are you distracted from the things of God? Maybe the problem is not the preacher, maybe it is me. Do I need more rest? Are there sins that need to be addressed? Do I have the right attitude toward God and his word? Sometimes the best thing I can do it think through my own spiritual life. Let’s be honest. It can be hard to sit still and stay awake through a long and boring sermon. We have all been there, even people in my congregation. Since you have set aside time to be at Church or listen to a sermon you might as well make it productive for yourself spiritually.